How tough does your roof need to be? First, consider the kind of climate you’re dealing with year-round. Is hail ever an issue? Is it windy where you live? 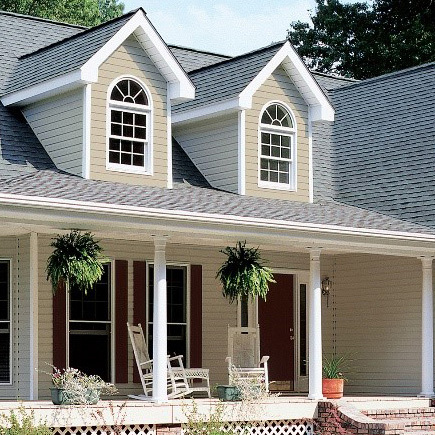 Harsh conditions often signal a need for impact resistant shingles. If extreme weather conditions seem even a remote possibility (and considering the effects of climate change, they’re truly a greater threat than ever before, no matter where you live), go for the tough stuff. 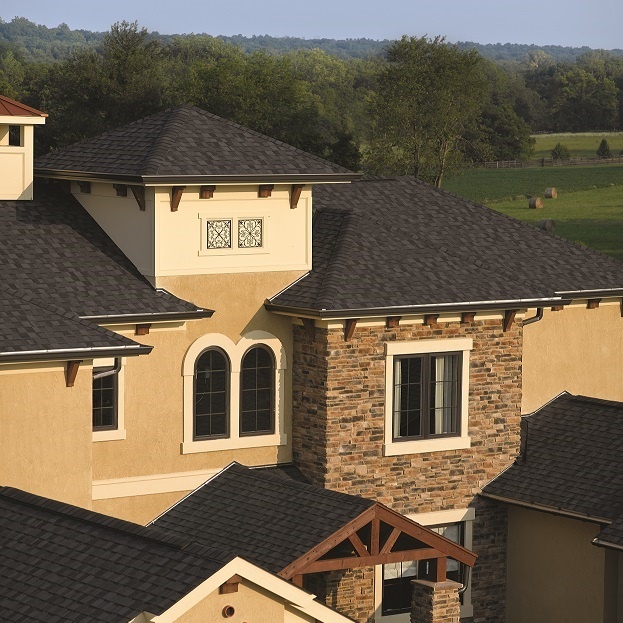 You need a roofing shingle that has been lab tested by the roofing manufacturer and is proven to withstand hail and provide reliability in your building envelope. A Class 4 Impact Resistant Shingle will provide these benefits and more, including insurance discounts in some areas. This is why you need NorthGate™. Our NorthGate asphalt shingle is SBS-modified. 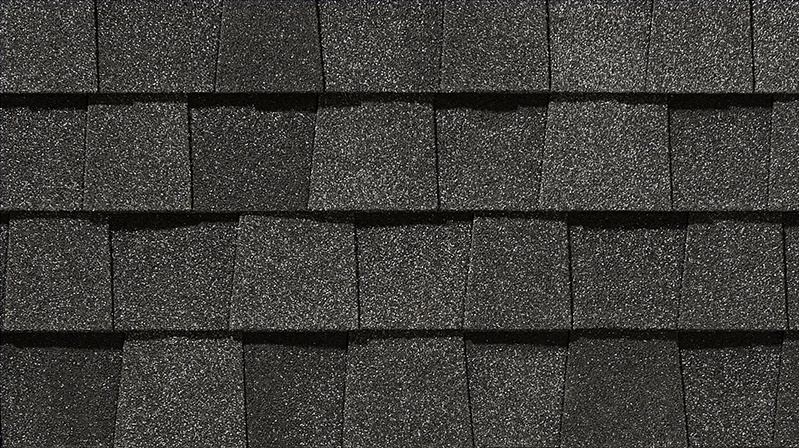 An SBS-modified shingle is manufactured with special polymers that give it “rubberized” characteristics. 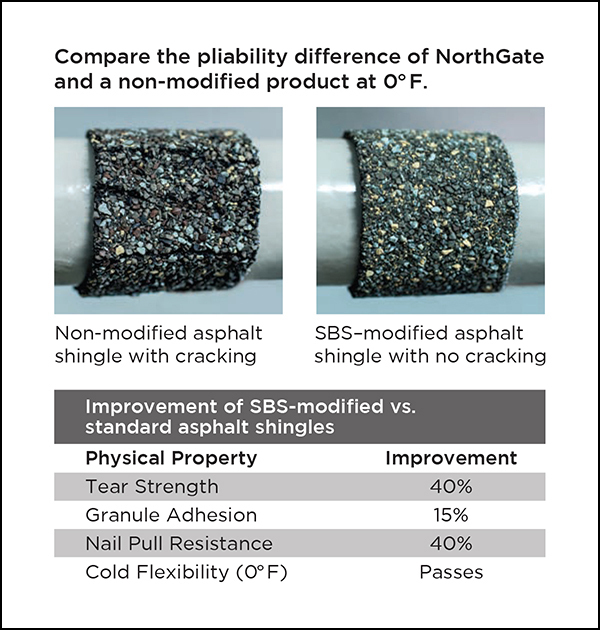 The benefits of NorthGate’s SBS-modified formula include a Class 4 Impact Resistance rating (the industry’s highest), superior weatherability and improved granule adhesion, which make this, arguably, the most durable shingle in the industry. If you live in an area that’s prone to hail, this is the shingle you need. 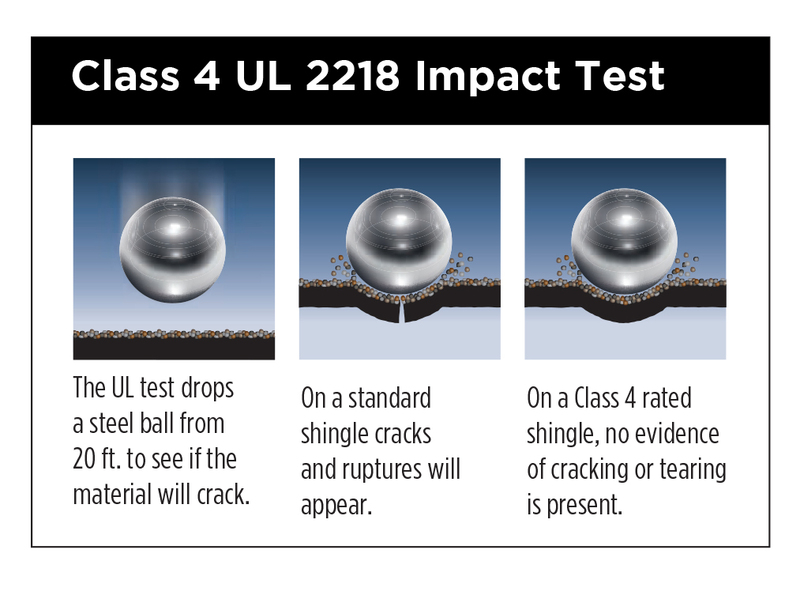 In a Class 4 UL 2218 Impact Resistance test, a 2-inch steel ball is dropped from 20 feet to see if the shingles will fracture. With a regular shingle (most of our competitors’ impact resistant shingles are only Class 3), cracks and ruptures will appear from that kind of impact. With Class 4 shingles, there are no splits or tears. 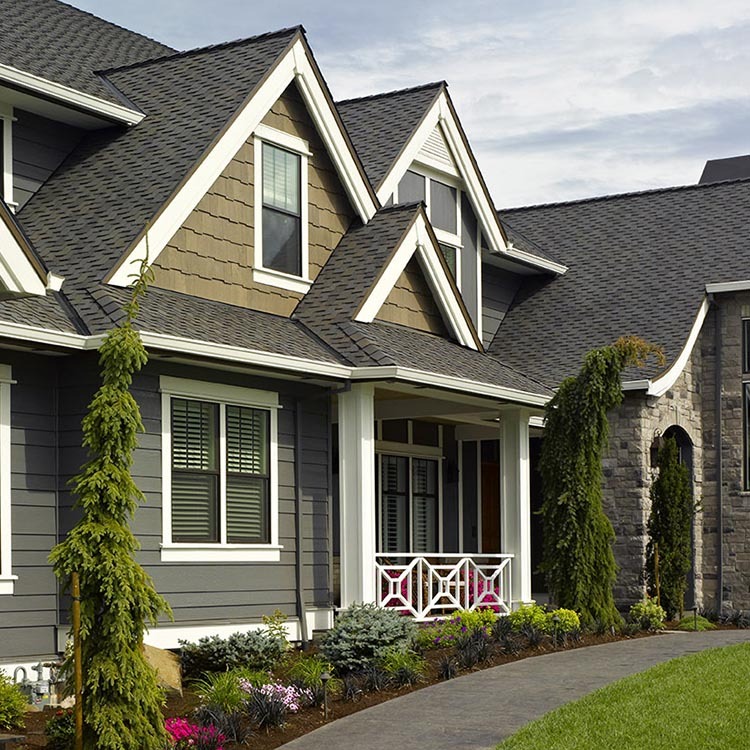 In layman’s terms, NorthGate’s two-piece laminated fiberglass-based shingles are tougher with a stickier surface than a standard asphalt shingle. If you put NorthGate side by side with a non-modified asphalt shingle and pressed each against a pipe, you’d see the other shingle break while the NorthGate bent back against the pipe. 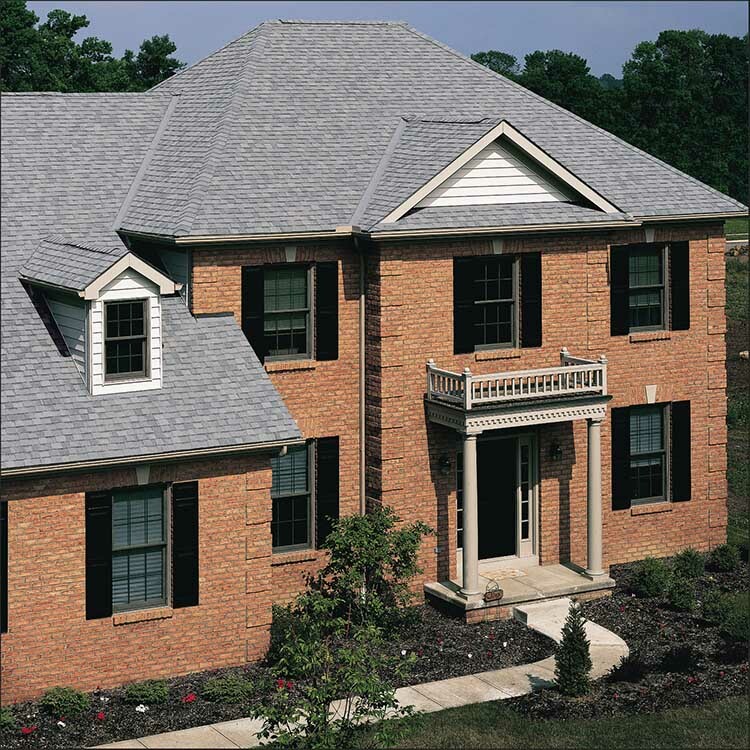 The SBS composition helps keep the shingle from cracking, even in temps as low as 0°F. This is a shingle that was designed to withstand whatever Mother Nature’s throwing at it. Can withstand hail at 90 mph. Class 4 Impact Resistance rating. May qualify for insurance discounts. The most durable shingle in the industry.